Knowing the best prices on the items you buy regularly is one of the best ways to keep your budget on track. Just because an item is on sale doesn’t necessarily mean it is a great deal. Creating a price book can help you keep track of prices in your local stores and help you make the best shopping choices. Take a notebook and make a trip into your local stores–the larger discount stores (Target, Wal-Mart, KMart) and the smaller stores like Dollar General, Dollar Tree and the like. If you have a bulk store like Sam’s Club or Costco make a stop in for price shopping. Be sure to make stops at grocery stores you shop at regularly and if you have Aldi or Save-a-Lot in your area check those out. Write down price comparisons for similar products or even the same name brand products. Compare paper towels, toilet paper, soap, cleaning supplies, personal supplies. Be sure to write down prices and sizes for each store so you can compare apples to apples. I also like to write down price per ounce, per individual item and the like so I can do comparisons. 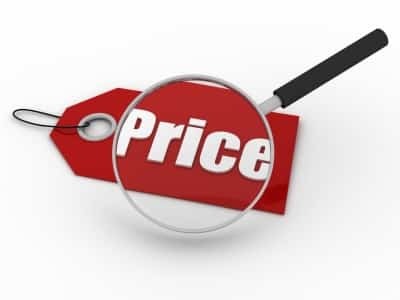 After you do the price comparisons you can get a good idea what stores generally have the cheaper prices on the items you need. For example, I found that in my area, the bulk bags of 25 pounds of sugar were not cheaper than buying five five-pound bags at one local inexpensive grocery store and was in fact about 50 cents more expensive. With my price comparisons, I write down the item–paper towels–then write the name of the store, the size of the package (single roll, 12 pack), total feet or yards and price. With my calculator, I figure up how much each sheet costs and notate that next to the entry. I do the same with toilet paper and all other products–then figure up the price per ounce, pound or per individual item in each package. The price comparison book can be created and updated with items on shopping trips or by making special trips just for price comparing. Keep your book handy and when items go on sale you can check their price with your book to see if the sale at a particular store is the best deal. The same goes for coupons. With the price book, you can check to see where you will get the lowest price on the item with the coupon. You can also use this information to determine if a sale on a multi-pack of an item is worthwhile. Most of the time, multipacks of items are a good deal, but thanks to price comparing, I have found some instances where buying the same number of individual items was actually a little bit cheaper. I have also been able to use this information to determine when a store ups a price on an item a week or so before a sale then drops it back down to the prior price and advertises it as on sale. This is always good information to know and can help you get the best bang for your buck and keep your budget on track.